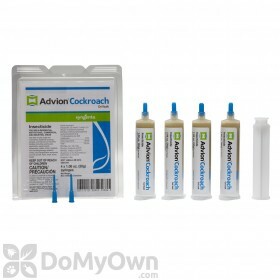 Is the Advion Roach Bait Gel supposed to smell?? This is the second time purchasing it and this is the first time I've ever smelled a weird rotten egg smell.... Why is that? Is it a bad batch? Advion Roach Bait Gel? has no odor as listed on the Safety Data Sheet but should only be applied is small pea size drops as this is more attractive to roaches Place every 10-12 inches where activity is noted. Applying too much would just make the roaches less likely to eat it. There are food based attractants in the product but any possible smell would not be harmful. It would only be harmful if you were to physically ingest a large quantity of the bait. If you are experiencing a foul smell you are more than welcome to contact our office at 866-581-7378 and we will be happy to check with the manufacturer.